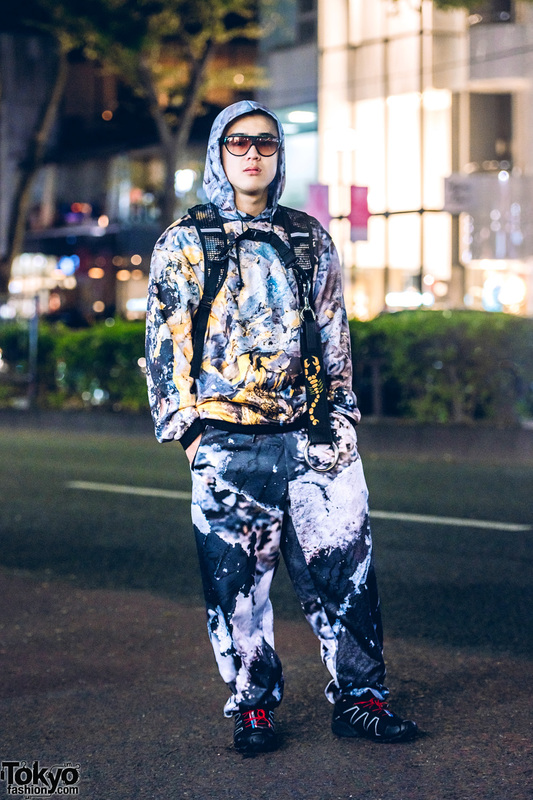 Harajuku guy sporting an all over graphic print hoodie and pants ensemble while out and about on the street. 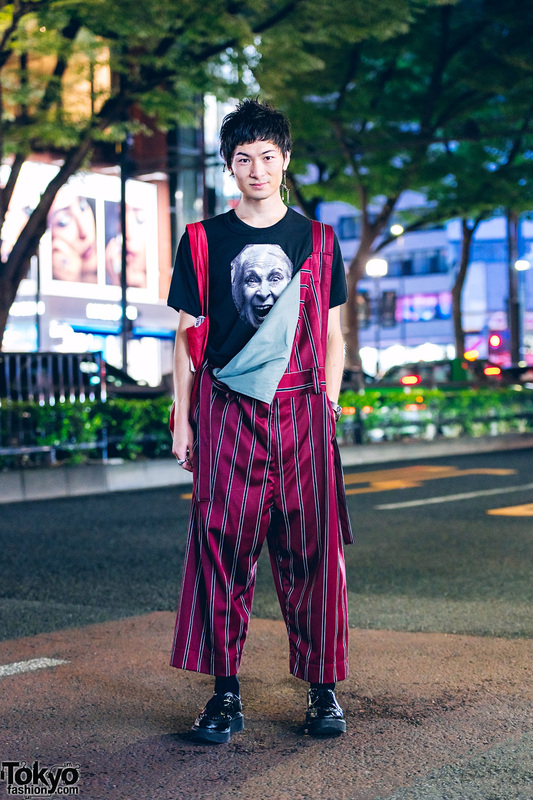 Harajuku guy dressed in a face print t-shirt, striped overalls, leather creepers and a tote bag. 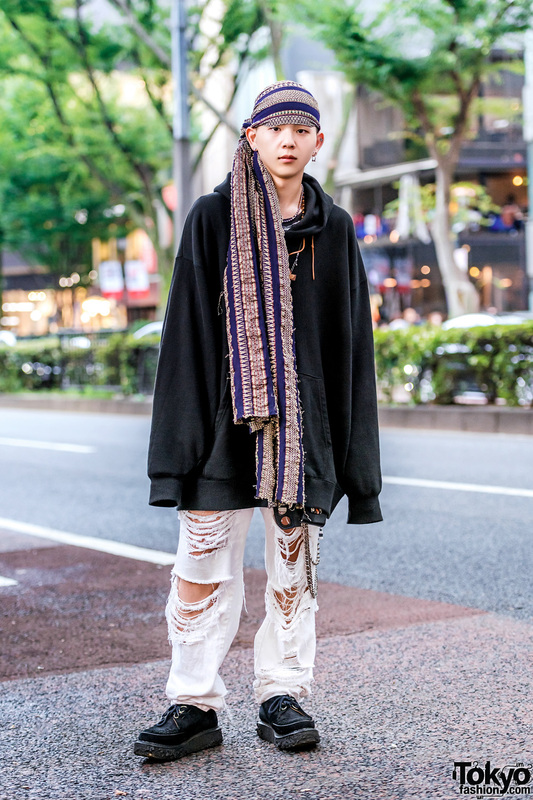 Harajuku student sporting a monochrome streetwear look with black hoodie, ripped jeans, suede creepers and a printed head scarf. 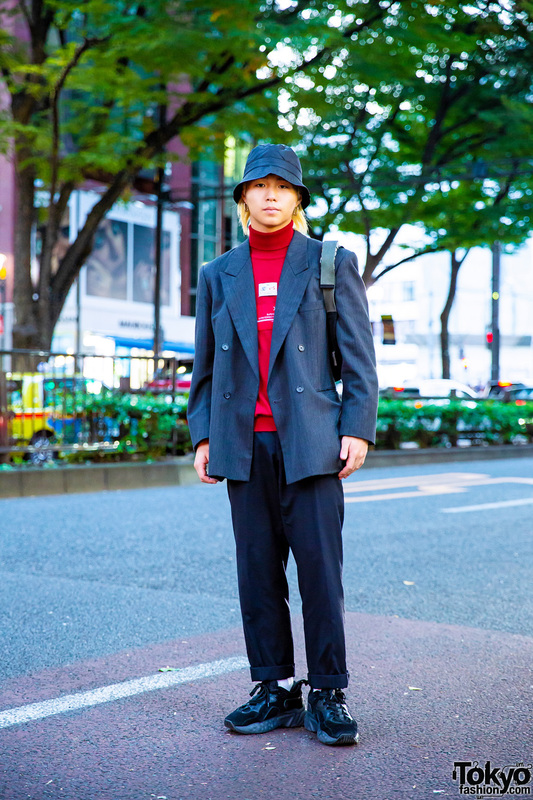 Harajuku teen fashionably dressed in an eclectic streetwear style while out and about on the street. 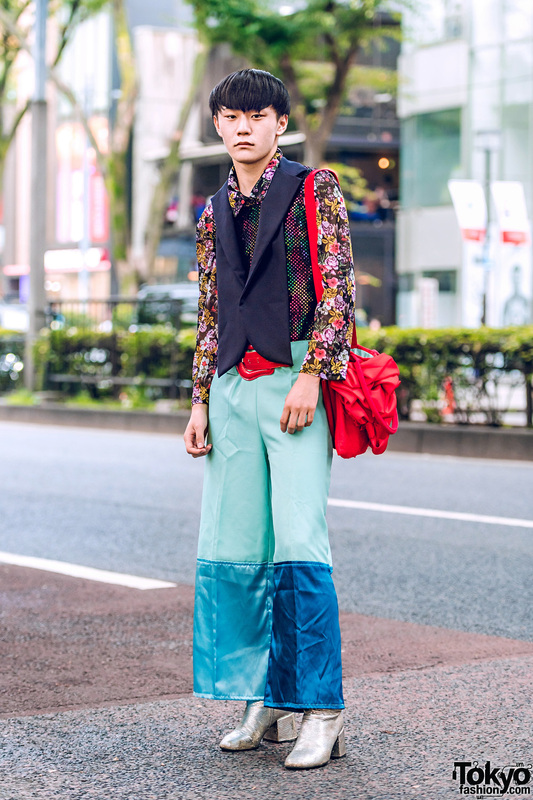 Harajuku guy in casual grunge look on the street with a Megumi Mikihara printed t-shirt, ripped jeans, colorblock sneakers and accessories. Harajuku student in a casual minimalist look with t-shirt, acid wash jeans, and black sneakers. 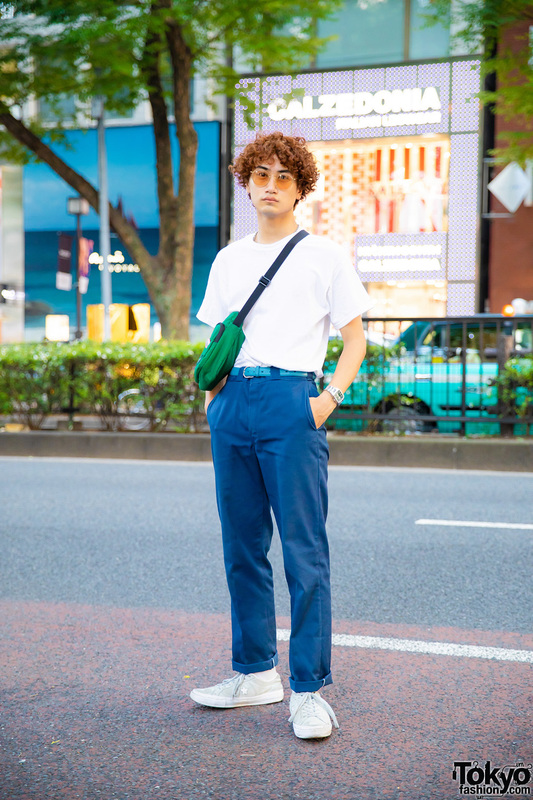 Harajuku curly-haired shop staff dressed in a minimalist street look with plain white t-shirt, blue cuffed pants, white suede sneakers and a green crossbody bag.